We love listening to books while we are on road trips. We have listened to a fabulous rendition of The Chronicles of Narnia on an incredibly long trip and everyone was spellbound. We have listened to lots of books over the years. School books or just for fun books. Sometimes we listen to books on CD and sometimes I read aloud. Sometimes the older kiddos do the reading aloud too, to give me a break. The problem, for our family, has been that the volume needed to be pretty stinkin’ high so that everyone could hear. That can be difficult for the reader. When I am sitting in the front of the suburban, it’s challenging to get loud enough without turning completely around in my chair. That isn’t a good idea for me because I get car sick if I do that. Well… I have changed how we do read aloud now and not only is it effective, but it’s fun and silly and memorable. All wins, really. We do read alouds in the car karaoke style! What that means is that I sing a little bit …. and then I start reading… right into a microphone that takes my voice and puts it into the car stereo system. Yup, all the kiddos here me in stereo. Surround sound Mom. 1: Buy a microphone app. There are quite a few. I went with a free one and practiced a bit to make sure I liked it. 2: Plug your phone into the stereo adapter plug in. 3: Turn on the microphone app. 5: Take a collection for requests. 7: Start reading the book aloud. If you have an older car (like our 2005 Chevy Suburban)…. and a smart phone…. 2: Buy a microphone app. 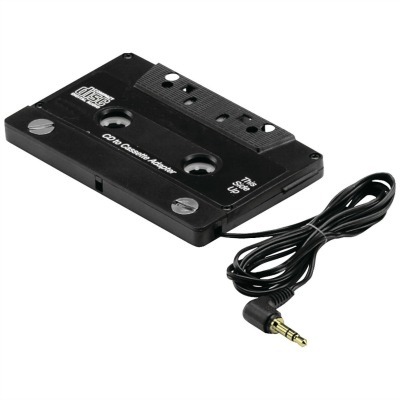 3: Put the cassette converter into the cassette player and plug it into your phone. 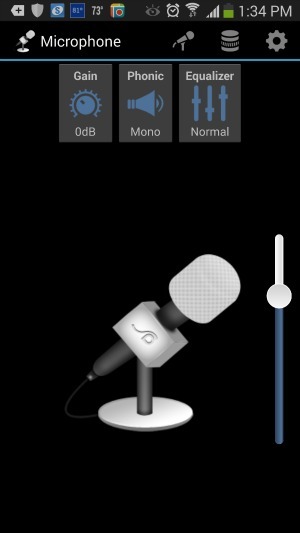 4: Turn on the microphone app. 5: Sing a few lines from your favorite karaoke style song (especially one that makes your kiddos groan… in my case it’s “How Does He Know”). 6: Pause for applause. Or eye rolling. Whatever. 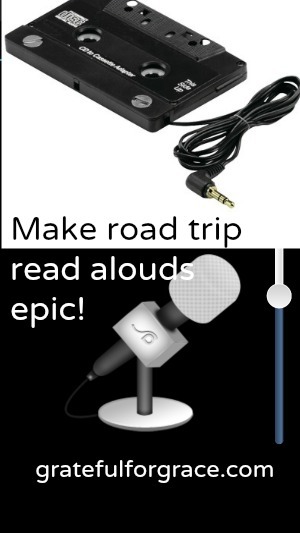 I can’t tell you how this has changed read alouds for road trips. It’s drastically different. We can all hear. I don’t lose my voice. I can sit comfortably. And I get to sing… in stereo. And the kids are all stuck in the car for all of it. Epic. Also… this is super fun for dads that like to be airline pilots or tour guides while driving. You too can enjoy read alouds in the car. Or make whatever you want to say over the stereo speaker system in your vehicle epic fun.